As much as I love seeing the works of Spanish architect and artist Antoni Gaudí -- especially in movies such as Gaudí Afternoon and Unconscious -- I didn't know that much about the man and his life, not to mention practically anything about one of his unfinished works, The Sagrada Família in Barcelona, which has been under construc-tion since 1882 and remains today only maybe halfway completed. 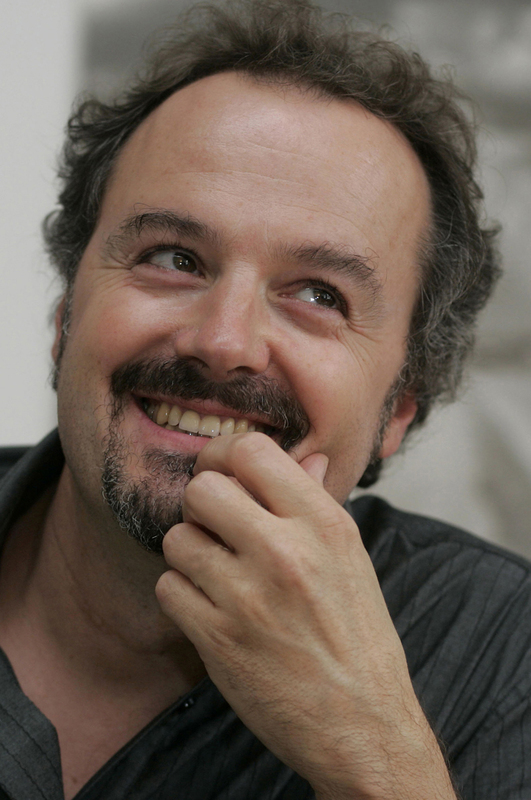 What a work it is -- and what an interesting docu-mentary filmmaker Stefan Haupt has made about it. Herr Haupt (pictured at left) -- whose The Circle opened theatrically here in the USA only recently and has been submitted by Switzerland as its choice for Best Foreign Language Film -- is a Zurich-born filmmaker of talent and energy, both of which are on display in this movie about a rather amazing and enormous church that reaches to a height of nearly six hundred feet and also boasts multiple facades and multiple chapels within its apse. 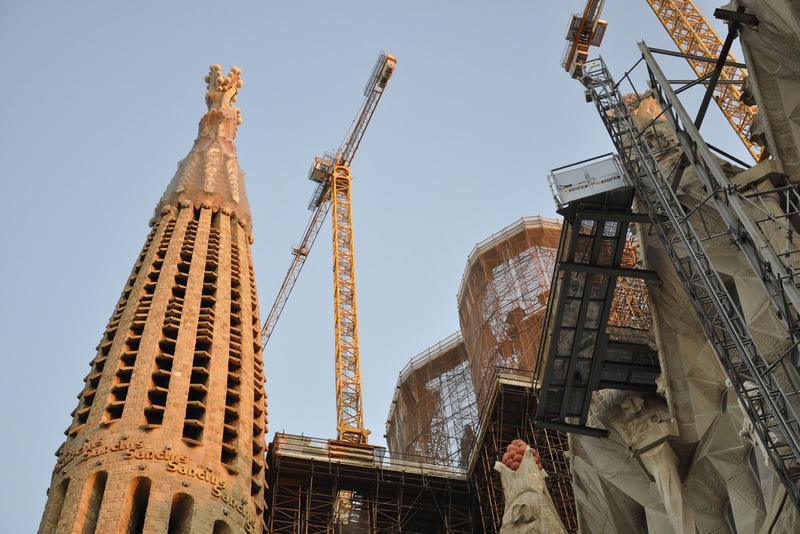 A late-career project for Gaudí, which the artist knew he was unlikely to complete, Sagrada Família was slowed down even further due to Gaudí's untimely death (by streetcar, of all things) and then even further by the Spanish Civil War. Even now, as this documentary explains, jockeying interests -- religious, cultural and (of course) business -- have delayed completion once again. Still, SAGRADA: The Mystery of Creation takes the time and trouble to show and tell us the history of the architect, his country and his church, and in the process gives us a pretty good tour of the ever-growing facility. 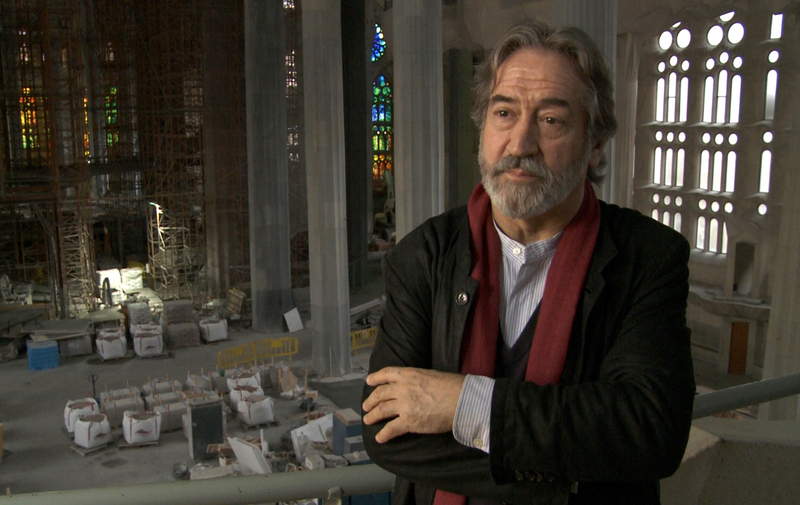 All this is brought to us by folk as different as modern day architects and sculptors, politicians, church men and even a famous musician/conductor/ composer (Jordi Savall, shown below). 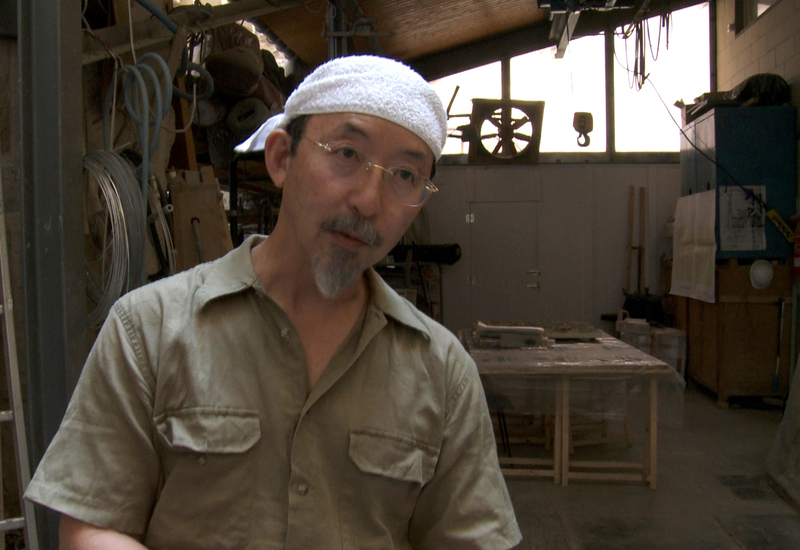 One of the more interesting of these interviews and personalities is that of sculptor Etsuro Sotoo, below, who charms us initially as he explains why and how he is hitting the stone he is sculpting so very delicately: "I am asking the stone if I can hit it -- or not." Makes a certain sense, actually, as does the man's explanation of why he felt he must leave Buddhism for Catholicism, in order to place himself more in the shoes -- and spirit -- of Gaudí. Not everyone is thrilled to see work continuing on the church, and certain questions arise: Should it be less religious? 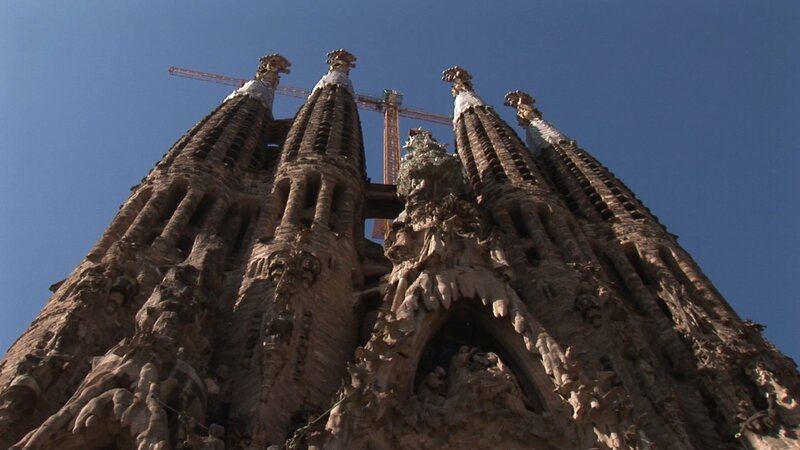 Should it look more -- or less -- like the building that Gaudí envisioned? Ought it to be more "cultural" and less god-like? And through it all a waif-like dancer named Anna Huber appears to act as a kind of stand-in for the spirit of Gaudí himself, watching from various places and angles, as the building grows. Government adds its two cents, as it tunnels under the very structure itself in order to build the upcoming hi-speed train that will run between Barcelo-na and Paris. But really now, did its route have to run exactly under this cathedral? Lots of questions occur during the course of the film but not so many answers. No matter. What's here should provide interest aplenty. 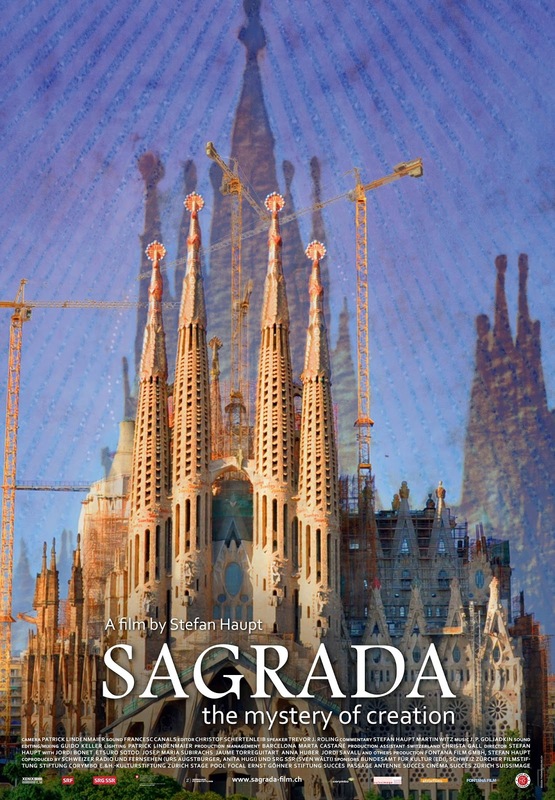 Sagrada: The Mystery of Creation, from First Run Features, opens this Friday, December 19 in New York City at the Elinor Bunin Munroe Film Center -- after playing most of the rest of the country already. You can take a look at all playdates, past and future, by clicking here. "Should it be less religious?...Ought it to be more cultural and less godlike?" Keep in mind that La Sagrada Familia is a church, after all. 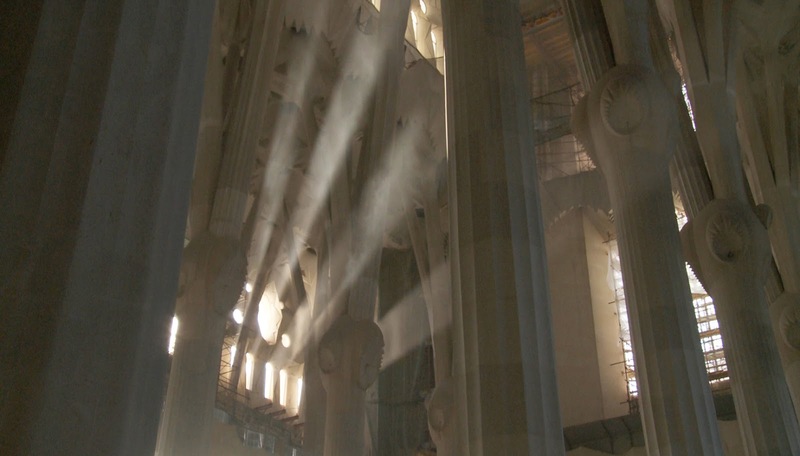 Gaudi's inspiration was Christian, and he is actually a candidate for sainthood in the Catholic Church. Thanks, Madame. It is always good to be reminded of something like this. And given my general opposition to organized religion, I guess I tend NOT to keep things like this in mind. So I am pleased that you brought this to my attention.